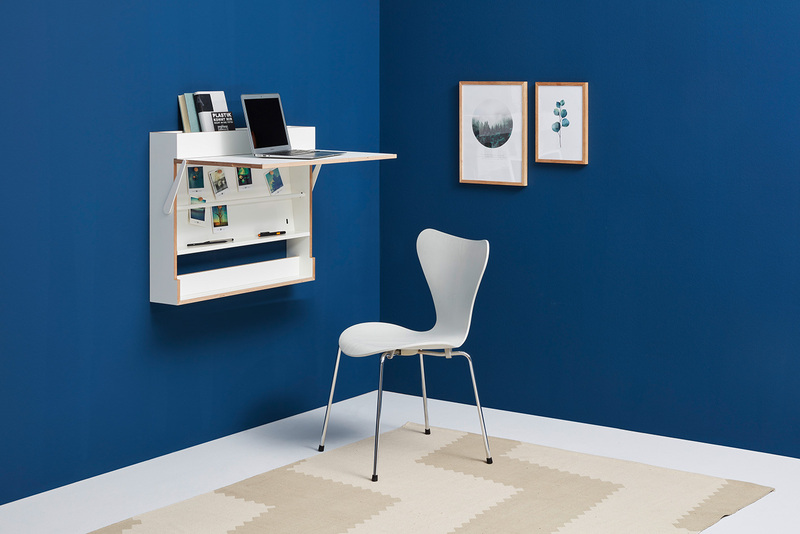 The wall bureau WORKOUT is a multi-talent with innovative height adjustment. 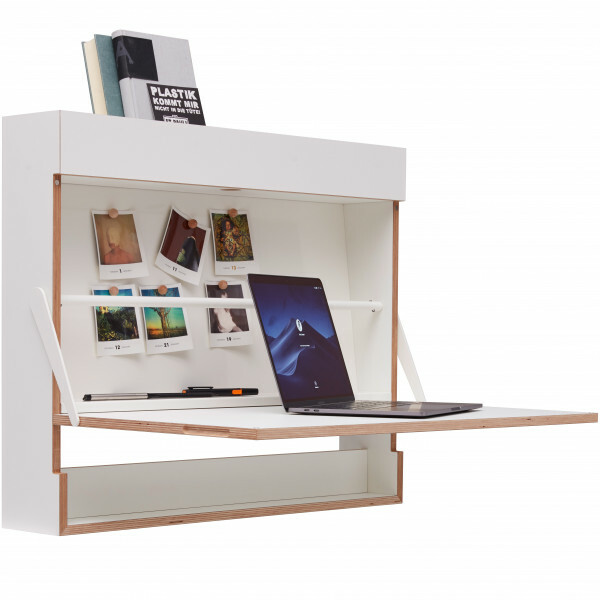 The wall bureau WORKOUT, designed by the Berlin designer duo Murken Hansen, is a multi-talent with innovative height adjustment. The worktop can be adjusted with a handle from sitting to standing height. This is made possible by a sophisticated mechanism that guides the worktop on two levers in the exact position. 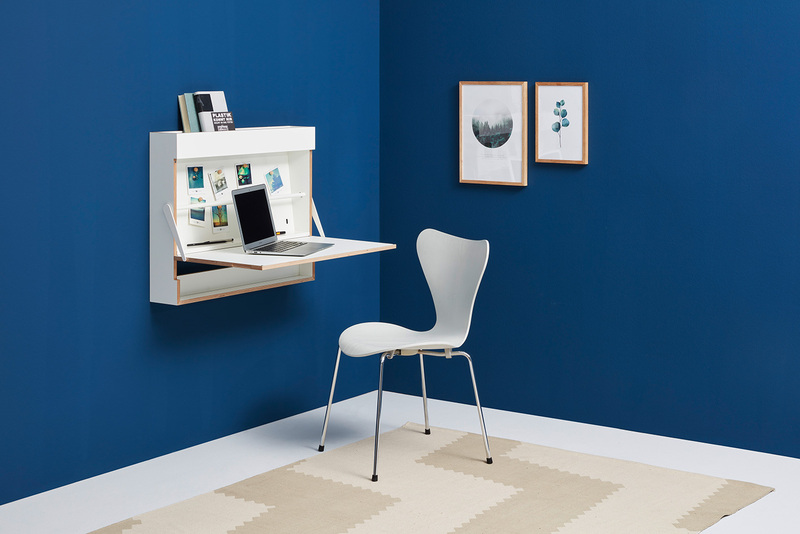 WORKOUT also has space inside for a laptop or desk utensils. Its back of coated steel sheet can serve as a magnetic board. Additional accessories can be found in the upper storage compartment, which always remains accessible. WORKOUT is made of plywood and is available in a highly durable white, anthracite or matt black finish.